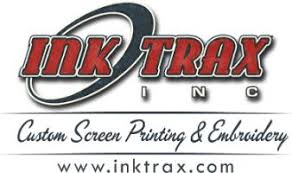 Ink Trax is a one stop shop featuring graphic design, screen printing, embroidery and promotional products. From start to finish we can take your concept and apply it to a huge array of apparel & products. All design and production is handled in-house. 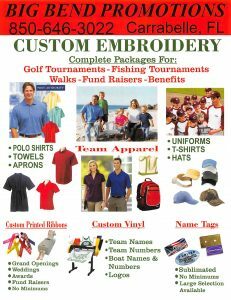 This allows us to provide you with quality screen printing, embroidery, & digitizing with fast turnaround and at competitive prices. Cutting edge design & production of screen printed and embroidered apparel. Exemplary customer service and quick turn around. Complete graphic design, advertising & marketing agency. Services include: brochures, direct mail, e newsletter design and production, website design, and advertising specialties. A family owned business since 1952, Ramseys' is the oldest provider of printing and office products in Gulf and Franklin counties. We offer a full line of printing, office products, signage, banners, trophies, plaques, promotional items and team uniforms. Our in house printing and sign makers provide not only a quick turnaround time for our customers but also very competitive pricing. Let us quote your next project.